Ahead of next month’s Champions League encounter with Spanish side, Sevilla, Manchester United have been handed a huge injury boost as news has emerged that Ivorian centre-back, Eric Bailly should be fit for the tie. The 23-year-old defender has been out injured since November after suffering a nasty injury, with the player undergoing an ankle surgery in December that was expected to keep him out of action for around 3 months. It would seem that his return to first team action is ever closer as ESPN reports that the player is responding well to treatment and could be back sooner rather than later. In his absence, the likes of Chris Smalling and Phil Jones have impressed in the heart of defence while summer signing, Victor Lindelof is looking the part after an initial period of struggling to the intensity of the league. United face Sevilla on February 21 with Bailly expected to be part of that fixture. 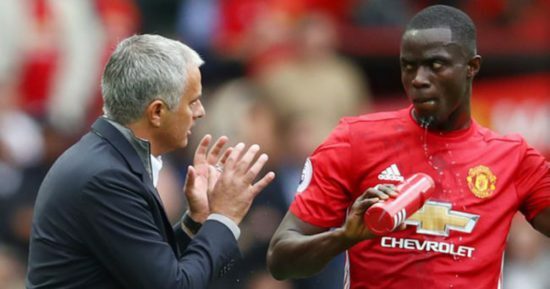 Bailly is a personal favourite of Jose Mourinho who made him his first signing shortly after taking the Old Trafford job back in the summer of 2016. The former Villareal man has been impressive in his performances but has been beset by injury worries ever since his move. However, he has been outstanding and will be key in our quest to end the season on a flourish. He is a classy centre back known for his composure, tough tackling, interception skills and astute reading of the game. With United currently looking off the pace in the Premier League and out of the League Cup, the Champions League offers a perfect opportunity to make a success of our season and having Bailly back takes us closer to challenging for the trophy.